BURLINGTON, Mass.–Last October, Popular Science recognized the Desktop Metal Production SystemTM with its "Best of What's New" award in the Engineering category, in a nod to the system's speed and inkjet technology. Reported to be the first metal 3D printing system for mass production of complex metal parts, the Production System is said to be up to 100 times faster than current laser systems, and to deliver "the speed, quality, and cost–per–part needed to compete with traditional manufacturing processes." Desktop Metal, founded in 2015, anticipates that the Production System will be available for use in 2019. The Production System was created by the inventors of ground–breaking technologies in 3D printing and 2D printing–binder jetting (by Ely Sachs) and single pass inkjet (by Paul Hoisington). Leveraging low–cost metal injection molding (MIM) powder, the system builds metal parts in a matter of minutes, instead of hours, Desktop Metal said in a press release. 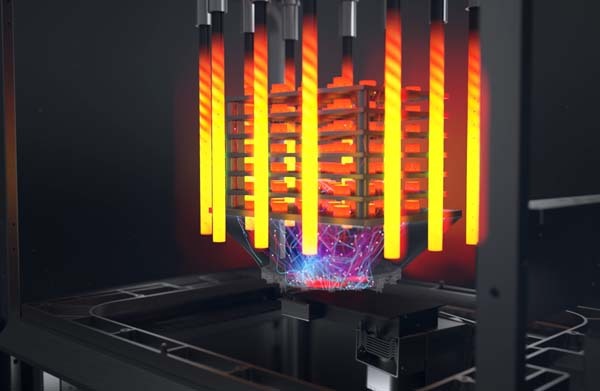 The system is reportedly designed to deliver high throughput and per–part costs that are competitive with traditional manufacturing processes–up to 20 times lower than today's laser–based additive manufacturing systems, the company said. "The Best of What's New awards honor the innovations that shape the future," said Joe Brown, editor in chief of Popular Science, in a statement. "From life–saving technology to incredible space engineering to gadgets that are just breathtakingly cool, this is the best of what's new." Desktop Metal (www.desktopmetal.com) said that it is committed to making metal 3D printing accessible to manufacturers and engineers. The company has recently launched metal 3D printing systems covering the full product lifecycle, from prototyping to mass production. Desktop Metal's Studio SystemTM, billed as "the first office–friendly metal 3D printing system for rapid prototyping," is reported to be up to 10 times less expensive than existing technology today.